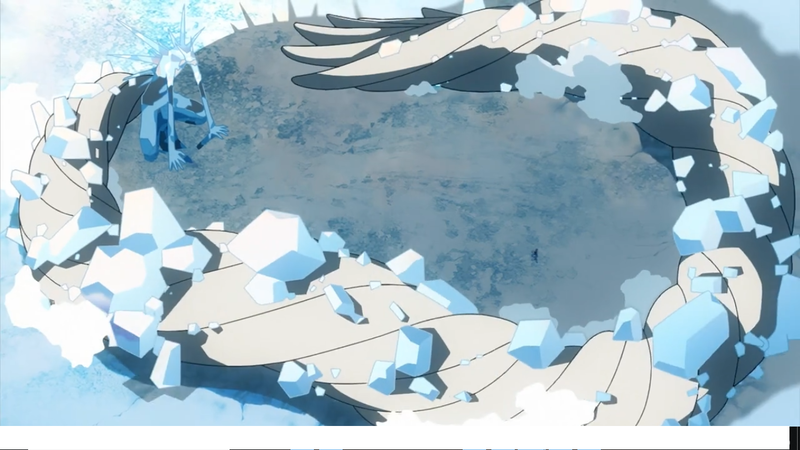 At the beginning of the new Boruto opening theme, an ice humanoid creature (that bears an uncanny resemblance to the incomplete Juubi) is seen using its tail to enclose Boruto. Its tail looks like some form of wood release mixed with ice release! And it's big enough to make Boruto look like a speck from the distance. It seems around the size of, if not bigger than, a Tailed Beast.